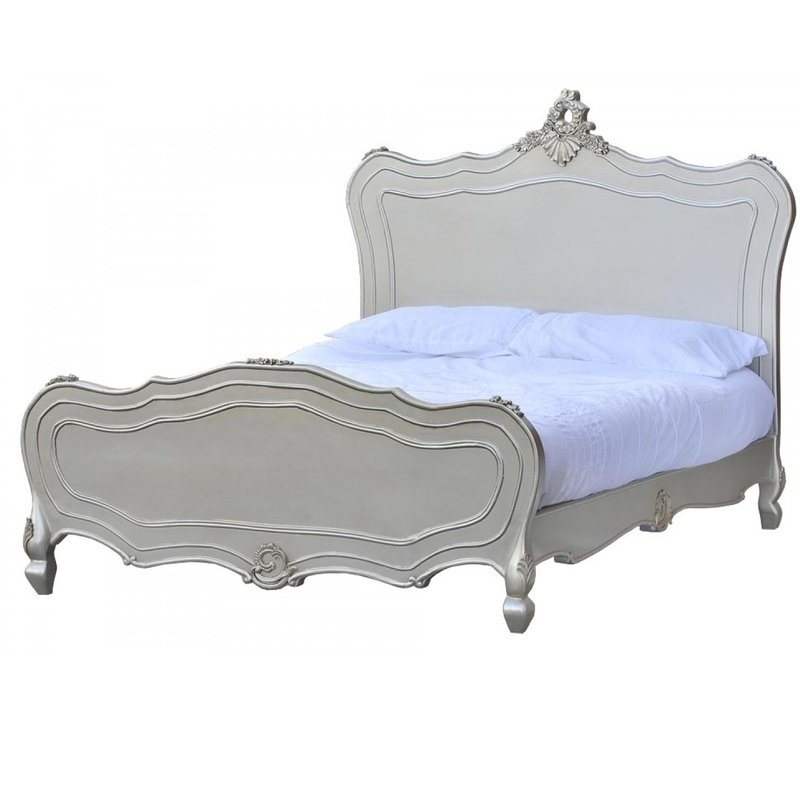 Bring to your bedroom effortlessly elegance and romance with this stunning Antique French Style silver bed. With a marvellous rococo-style crest at the top of the headboard and fine detailing on all sides, this incredible bed is perfect if you need a fantastic and classy look on the whole of your home. It is a wonderful statement piece for your bedroom. Would look gorgeous paired with any other antique silver bedroom furniture.